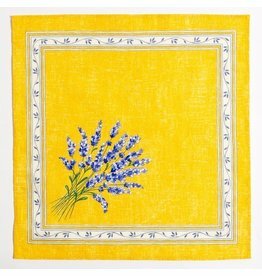 Bring the feel of Provence into your home with this popular French pattern! 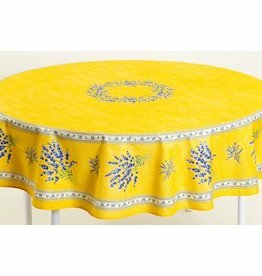 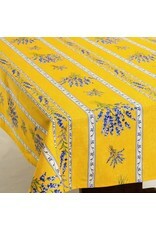 Our Valensole tablecloth features sprigs of lavender on a sunny yellow background. 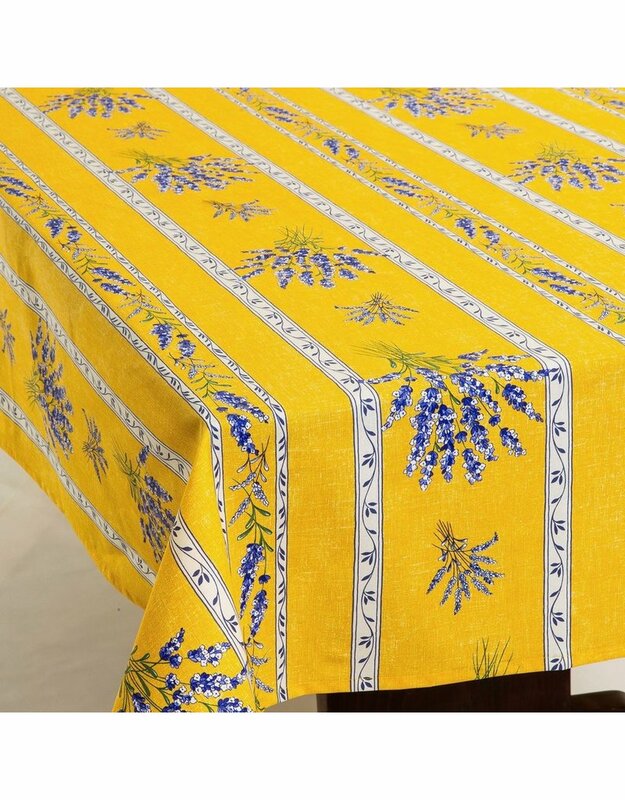 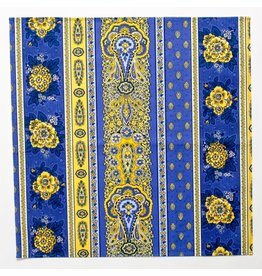 This cheerful cloth is perfect for both your indoor and outdoor table.